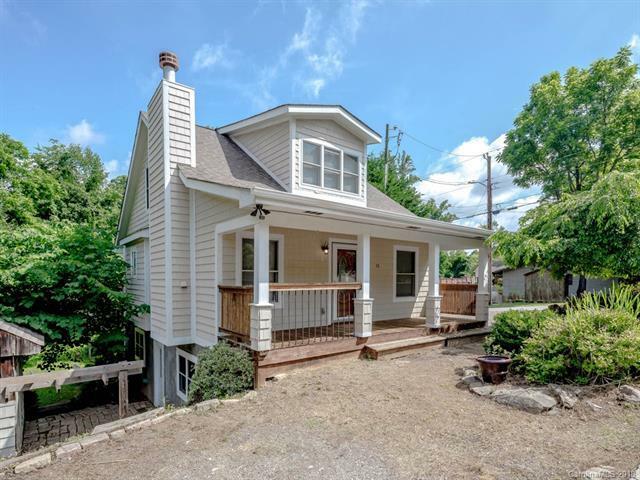 11 West End Way, Asheville, NC 28806 (#3404125) :: Robert Greene Real Estate, Inc. LOCATION! Easy stroll to bustling Haywood Rd, New Belgium, AND Greenway! Lovely archways greet you as you enter this easy living home. Large master suite with vaulted ceiling and own HVAC on second floor. Lower level has abundant natural light with two entrances, living area, kitchen space, bonus room and bath. Use as in-law suite or short term rental (buyer to confirm). Sit back and relax on the covered front porch or one of two back decks over looking private yard with mature fruit trees. This home has it all!